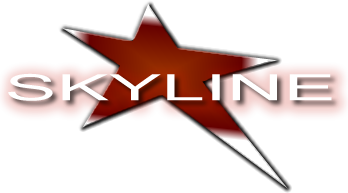 Trapeze - Cirque - Skyline Talent & Events - Exclusive representation for Cirque USA. With a light swinging motion, the Static Trapeze offers the perfect frame for this amazing act comprised of head and hand stands, and blended with dance and aerial acrobatic movements. Our artists become a moving picture in this frame displaying perfect balance and grace while demonstrating incredible athletic skills. Requires Certified Aerial Rigger – 6 Minute Act 20 ft ceiling height required off of one rigging point that holds a shock load up to 1,000 lbs. Cast in Orlando, Miami, New York, Las Vegas, Denver Chicago & LA.